BERLIN (Reuters) - German Chancellor Angela Merkel will visit Washington and Ottawa next week for talks with U.S. President Barack Obama and Canadian Prime Minister Stephen Harper about the G7 summit that Germany will host in June, Merkel's office said on Monday. The White House confirmed her visit to Washington, saying the two leaders will meet Feb. 9. Obama will host Merkel at the White House, it said in a statement, adding the visit "highlights the importance of U.S.-German cooperation on global affairs." 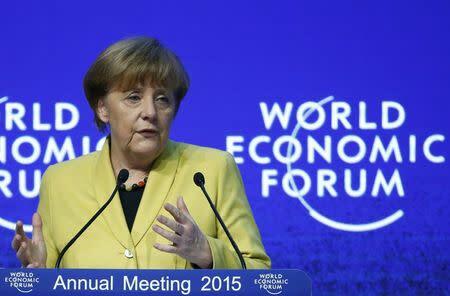 As well as the G7 summit in Bavaria, Merkel will discuss the Ukraine crisis, relations with Russia, the fight against Islamic State, the situation in Afghanistan and Iran and subjects such as economic policy, trade and climate issues, her office said. The chancellor's visit to the United States and Canada will take place between Feb. 8-10, her office said in a statement, without giving any further details. Yes, Kim Kardashian West wants to be a lawyer. And that's only a good thing.